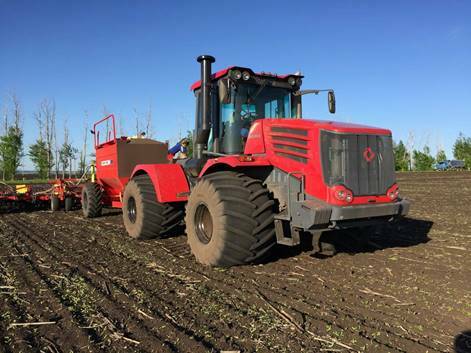 Quad track option update | MTZ Equipment Ltd.
MTZ-Kirovets tractors are now available with floating (wide) tires – as a factory option. Floating tires is an excellent solution for those who want to increase productivity, reduce soil compaction and achieve high yields. To improve the traction characteristics of tractors and reduce the fertile topsoil compaction traditionally we use dual wheels. On dual tires tractor can start the season earlier. Factory installed duals were successfully used for years. 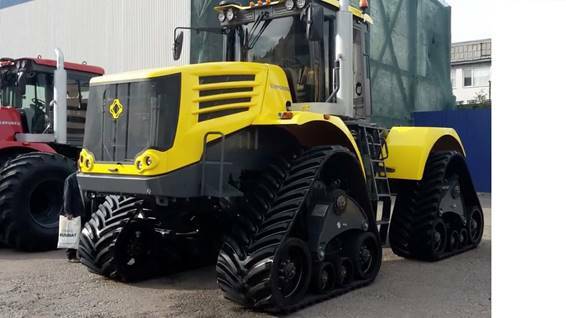 With all the obvious advantages - flexibility through the ability to install or remove the additional wheels as required, increasing the effective weight of the tractor, doubling the contact area with the soil propulsion, significantly reducing the compaction of the soil - duals have certain disadvantages. Duals arrangement adds complexity and is more difficult for driving. it’s important to maintain correct difference between "internal" and "external" tire. Dual wheels significantly increases the tractor's dimensions. Duals need wider area to turn at the end of the field. The gap between the wheels is getting clogged with dirt. 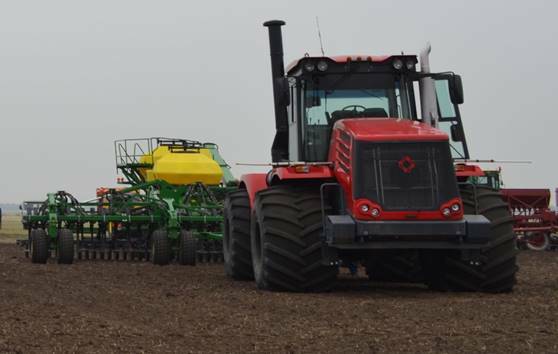 The better (but more expensive) option for many farmers is to install a set of floaters : wide-profile tires. A wide tire is only slightly inferior to the traction characteristics of duals, but it is more practical to use. less complicated to manage than dual tires. even without removing the wheels of the tractor. the optimal parameters. For KIROVETS best suited tire are radial type. In contrast to the bias tires, radial strength have better qualities and a greater longevity. Starting immediately we are offering factory approved float tires 1000/50 R25. As the prime supplier we use a well-known European company MITAS. KIROVETS on float tires is a cost-effective, reliable and long-lasting solution for your business.